performance insights, identify growth opportunities . . .
set call back reminders and close more sales. video tutorials, and full integration in 30 minutes. 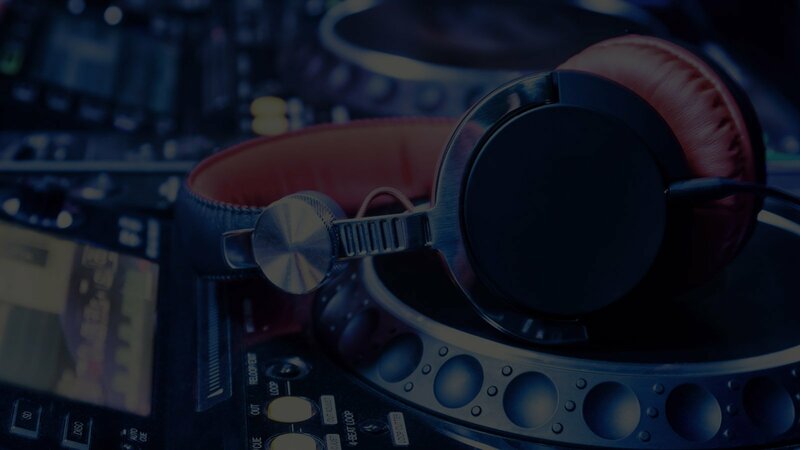 An easy to follow, proven system to manage your mobile DJ business to it’s peak ability whilst automating repetitive tasks. Why choose Event Master Pro? 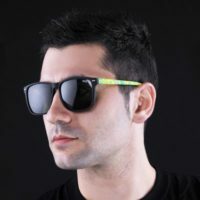 “Soon after entering the DJ business, I realized it wasn’t so easy communicating with and following up with multiple clients. I got tired of missing out on event opportunities and using online calendars and spread sheets to manage my business, so I designed my own software to help me cope with handling enquiries and closing sales with prospective clients. Good businesses are built on systems that follow the same process every time. Once your business has been systemized the next step is to automate repetitive and time wasting tasks. Once you have systemized and automated as many things as possible you will be able to scale your DJ business and reach your full potential. 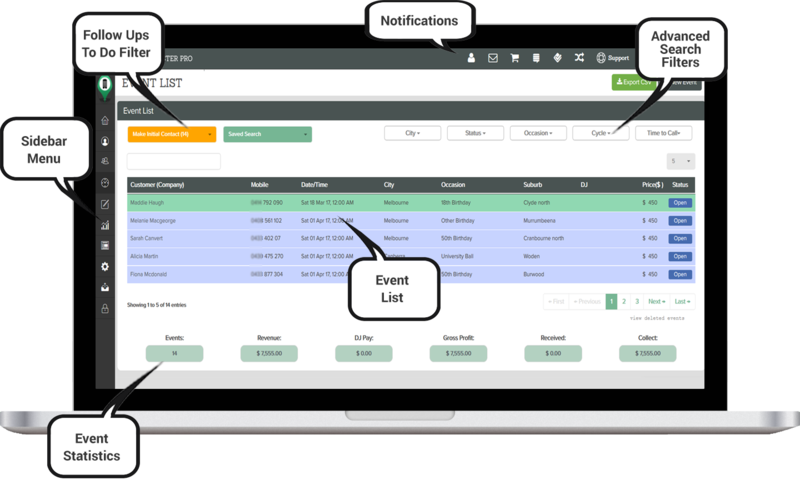 Event Master Pro helps you promptly follow up with and stay on top of your leads. You can leave detailed notes of each interaction, remembering what you spoke about and when, and then set follow up reminders and these events will show up on your daily follow up list. 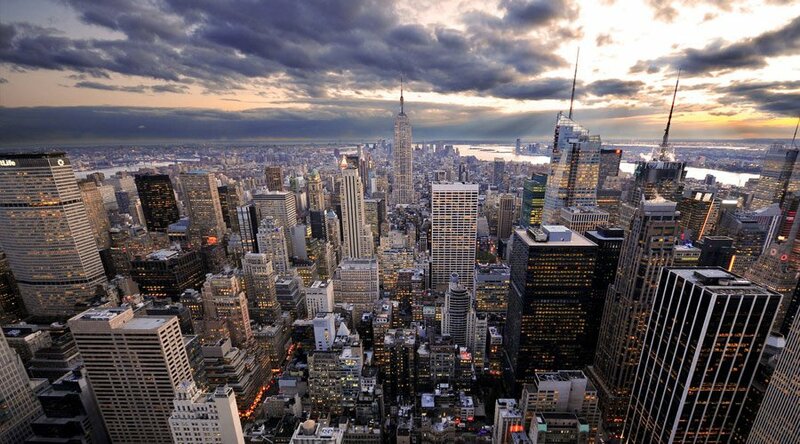 Rest assured that no matter how busy you are, that your enquiries are always being taken care of. 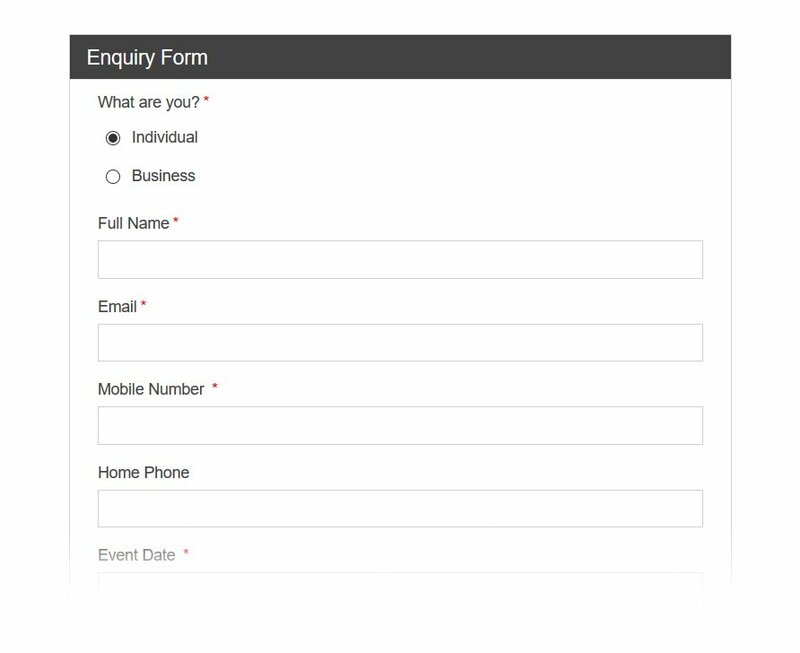 Upon completion of the EMP enquiry form, your prospects will receive an automatic email with a link to your info/pdf and a quote, customized by event type & location. Event Master Pro provides you with reports that are essential for the monitor and growth of your business. From knowing where your marketing dollars are being best spent, to real time monthly sales updates, conversion rates, monthly income and more. Any automate-able task in EMP and repetitive emails that you would normally send on a daily basis are automated. From the initial quote email, to booking instructions, payment confirmations, thank you emails and after event follow ups, sit back and let EMP do all the work. 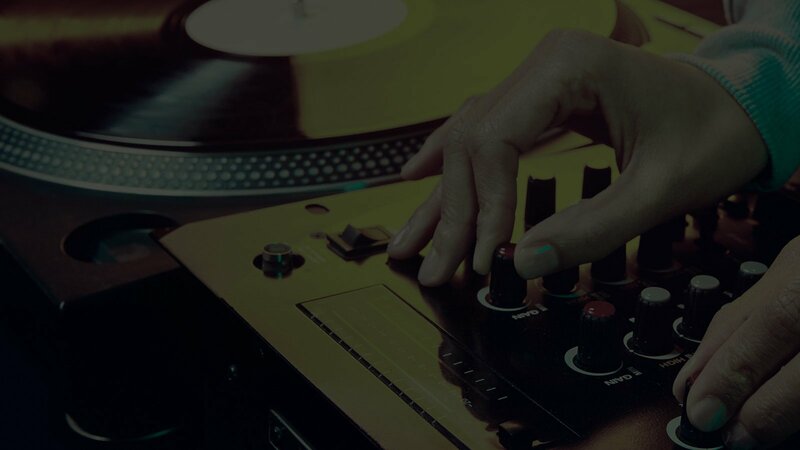 Event Master Pro comes with built in essential forms that every DJ business needs. With an enquiry form for gathering leads through your website, a booking form to secure them, and a feedback form for following up with them. Event Master Pro comes with unlimited customer and DJ login accounts. Each of the login areas are unique in design, and make a central hub for customers and DJs to connect with EMP. Both customers and DJs can access event details and all relevant information. On the calendar you can see all of your bookings in one place, you can click on any date to see it’s events and then quickly open in a new window to edit the event details. You can also receive absent requests from DJs and once approved they will show up there too. In Event Master Pro you can import a list of previous customers or companies, and likewise you can also export all of your contacts, companies and events to a CSV file. Additionally, prior to export you can filter your results to give you a specific list. Every important task or milestone reached in Event Master Pro leaves it’s footprint in the Activity History. 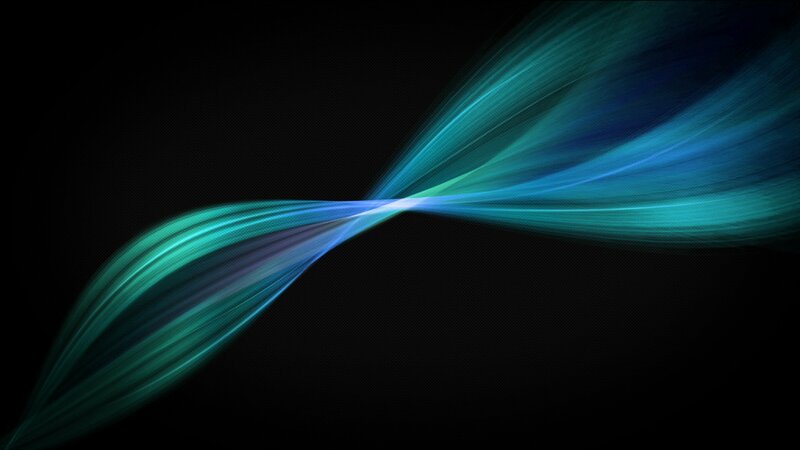 This is a new feed where you will see the most recent activity that has been happening on the site amongst all users. You'll also receive alert notifications within the app as these things happen. We’ve built a WordPress plugin bundle which is an Online Music and Event Planner to assist customers with creating a detailed event plan. This includes a Song Selector, Time Scheduler, Music Planner and Wedding Planner, combining together to make one printable event & music plan. We provide comprehensive support. Get in touch with our support team to help you setup and fully customize your application to suit your needs or learn more with our guided walk through and tutorial videos. Event Master Pro is a complete sales follow up system with it’s own unique way of following events up, it helps you stay on top of your leads in an easy to follow way. 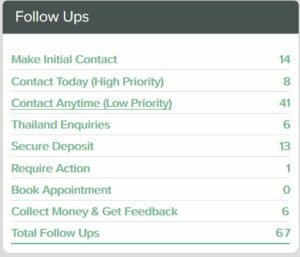 New leads are put into your Follow Up List in order of event date, so that you can scroll through them one by one, following up by phone and leaving detailed notes along the way. You can set follow up dates in the future and those events will show up again on your follow up list when they need to be dealt with. This makes it really easy to stay organised, contact people on time and when you contact them remember what you spoke about. 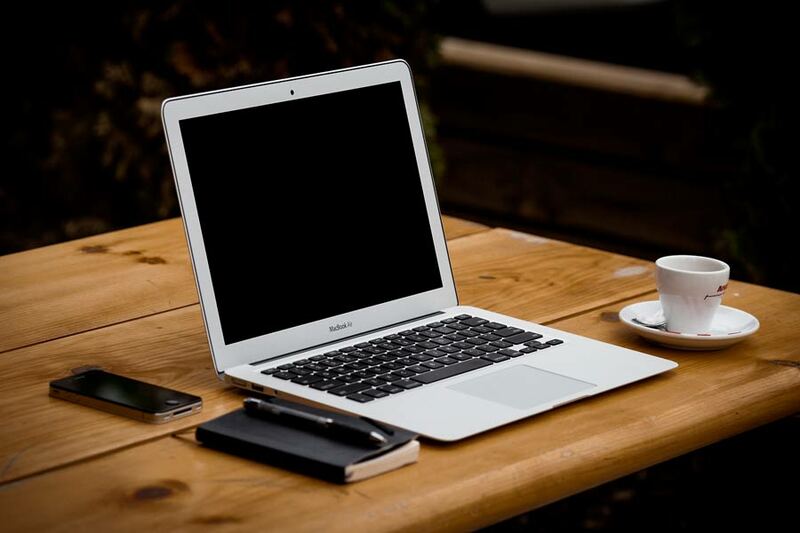 This will surely impress your customers as you will be the most efficient at following up than your competitors and this is guaranteed to win sales. Commit to shortened response times today! Every time something happens in Event Master Pro it leaves a note in the Activity History where you can see everything that has taken place in the order that it happened. Think of it like you a Facebook activity feed where the most recent activity is at the top and it is constantly refreshing. 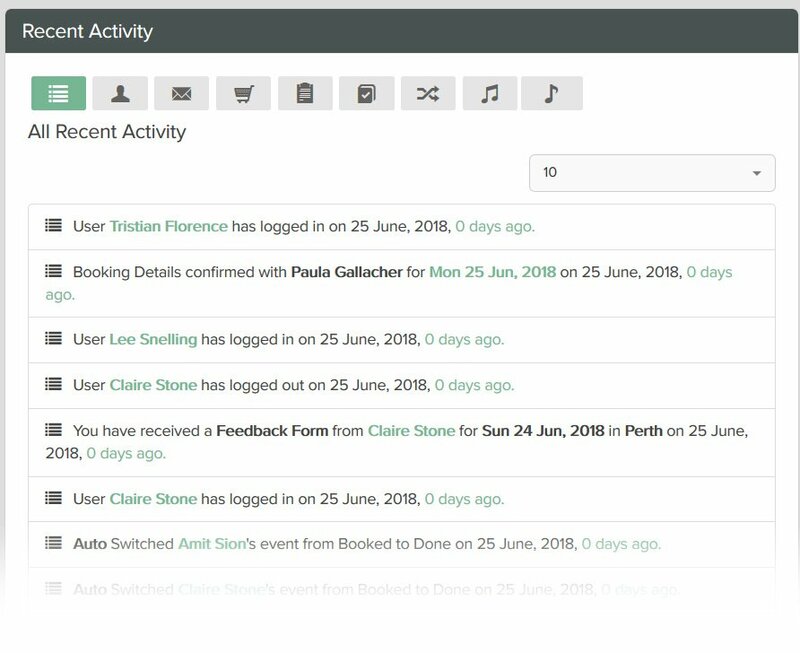 From the minute you log in, you can see when users have logged in and out, when enquiries, booking or feedback forms have been received, when payments are received and a whole lot more. Have some peace of mind knowing your leads will get an email response automatically and instantly, even while you sleep. 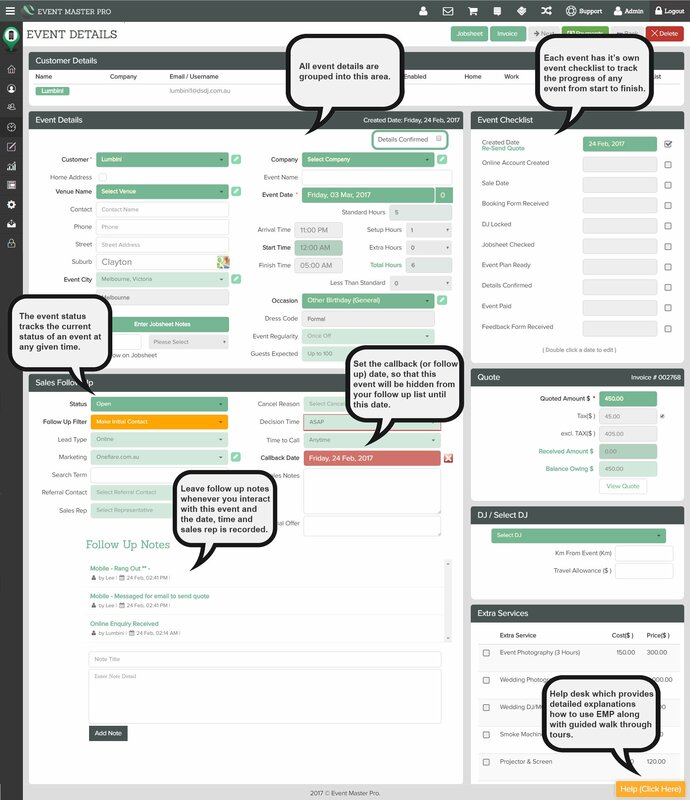 When potential customers complete the online enquiry form, Event Master Pro will send them an automatic email quote with a link to your sales brochure or PDF info. The speed at which you respond to your enquiries greatly affects your sales conversion rate, the faster the better. A survery conducted by Prof. James B. Oldroyd at MIT, in conjunction with InsideSales.com, showed that waiting even an hour to contact and qualify sales leads can drastically reduce your chances of success. We provide you with crucial information about where your customers come from, how much they are spending, why they are not buying and more. This is information every business should know. There is nothing more important when it comes to marketing than to know where your customers are coming from. Without this information it’s impossible to know what is working and what isn’t. Event Master Pro makes it easy to track this information and provide useful reports for planning where your marketing money is spent next. Event Master Pro helps you stay on top of your leads in an easy to follow way. New leads are put into your Follow Up List in order of event date, so that you can scroll through them one by one, following up by phone and leaving detailed notes along the way. What is the EMP system and how does it work? Customer visits your website and makes an enquiry via Event Master Pro’s embedded Enquiry Form and a new event is created. Event Master Pro immediately sends an automatic email quote customized by event type & location. The event goes onto an event list for you to follow up the enquiry by phone and/or email the prospect and close the sale. The customer is directed to your Event Master Pro online Booking Form to confirm their booking with a deposit and accept your terms and conditions. Payment can be accepted via PayPal, Credit Card (eWay), Cheque, Cash or Bank Transfer, it’s entirely up to you. You assign a DJ to the event and lock him in, EMP sends him an email notification and you can see from the event details when they have checked their jobsheet. After the event the customer is sent an email reminder to complete the feedback form and give you feedback. Listed prices are in USD and per month. 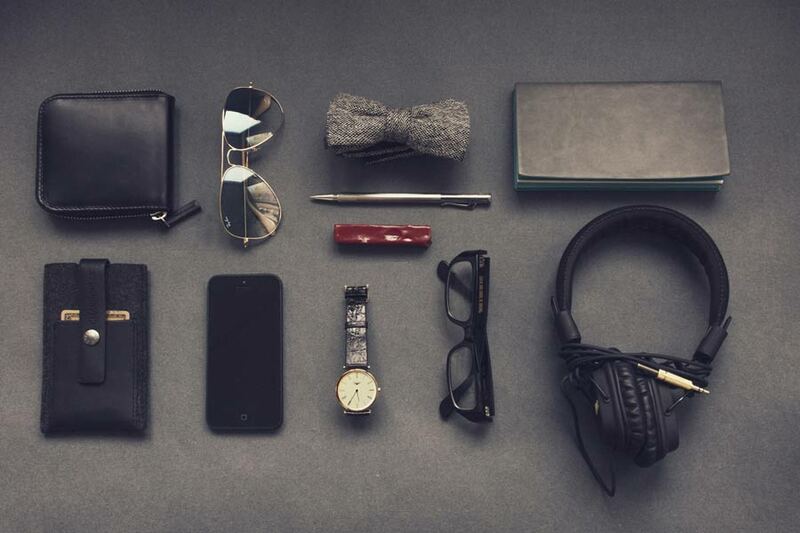 We have 4 simple packages from single user to small, medium and large sized businesses. The first month is free, so you can decide later which one is right for you. So let’s take it for a test drive!